Are you a veteran searching to purchase a home in the state of California? Do you want special rates reserved for our country's heroes? Do you need assistance achieving home ownership currently servicing or after serving in our armed services? I am proud to serve our veterans and active-duty families of the United States Armed Forces in Southern California and provide excellent rates with our VA Home Loan Programs. The VA home loan programs are specifically for VA members and have been helping our country's heroes obtain homeownership they deserve. The VA Purchase Home Loan program is the best loan in the lending industry and not just limited to active duty veterans during war-time. Surviving spouses of veterans, National Reserve and Coast Guard members that have been in their respective service for 6 years or more are all eligible for the VA Home Loan Program in California. Also, 100% financing is available to the majority of VA-eligible individuals. There are programs available to VA home loan signers that help with payments during financial hardship, and there is no penalty for prepayment on VA home loans. Also, upfront fees associated with normal home loans are limited and capped by the VA, allowing a much more affordable entry point for veterans in the Phoenix area. If you fit through all of these requirements, a VA Home Loan is possible and most likely your best option when financing your home mortgage.  If you pass all these requirements and are looking for a home loan in the Southern or Northern California, there really is no better way to purchase a home than utilizing the VA home loan program. Contact me via e-mail at nrufty@canopymortgage.com or by phone at 909-503-5600 today and we'll help answer any questions and tailor fit this program to work for you. Please complete the short contact information form below, so we can discuss the dream of homeownership with a VA home loan program! Let's Begin Your Path Towards Homeownership! Please complete the short inquiry form below to start the process of becoming a homeowner.